If you need us, you can always find us fan-girling over the spectacular Cameron Boyce! (and could you blame us?!) What’s not to love about the brilliant Cameron Boyce? We could seriously go on and on about how incredible he is. Cameron Boyce has and continues to prove himself to be one admirable and gifted actor whose indescribable talent truly makes him stand out in the entertainment industry. Cameron Boyce first stole the hearts of fans with his fantastic role of Luke Ross in the highly-acclaimed, hit, Disney Channel show, Jessie. His exuberant energy and exceptional charm brought a big smile on everyone’s face anytime we were able to see him on our TV screens. The remarkable Cameron Boyce has exhibited his talent in a countless amount of other renowned projects including the movies Grown Ups and Grown Ups 2 as well as shows such as Jake and the Never Land Pirates, Gamer’s Guide to Pretty Much Everything, Bunk’d, Liv and Maddie and many others. In addition, Cameron Boyce has been mesmerizing everyone with his iconic role as Carlos in the Descendants trilogy. There are no words to fully describe just how extraordinary Cameron Boyce is and he shows that he can excel in anything and everything that he does. Cameron Boyce truly defines what it is like to be a multi-talented individual. He’s an unrivaled actor, a phenomenal dancer and one true inspiration to all of his fans. Despite having such a hectic schedule – between working on set of his stellar projects to being in rehearsals and attending prestigious, red carpet events, Cameron Boyce always makes time to volunteer and make a difference in this world. In fact, he was even honored with the 2018 Pioneering Spirit Award at the 9th Annual Thirst Gala for all of his outstanding and motivating work to help those in need. Cameron Boyce is one of the kindest individuals on this planet. He is a pure package – charismatic, immensely talented, handsome and a terrific role model to all of his fans. It’s clear to see why Cameron Boyce was destined to have the successful career that he does in the entertainment world. 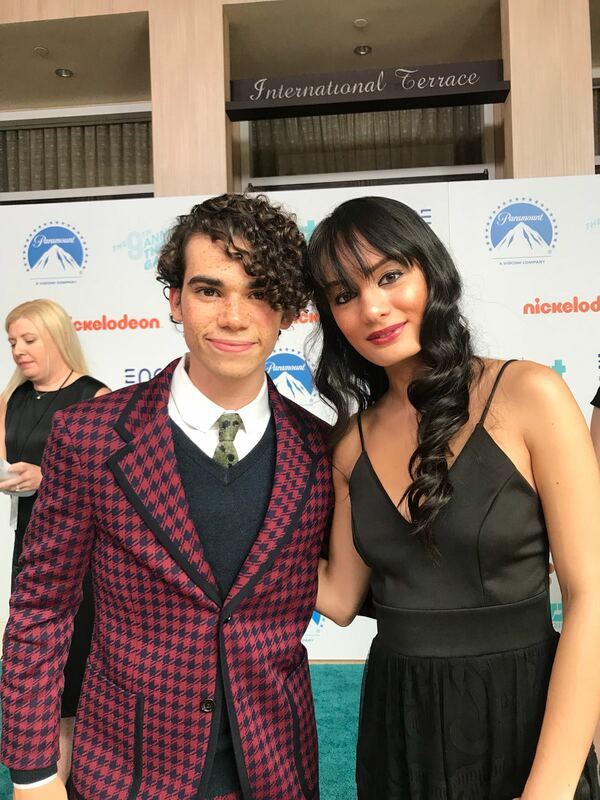 I, Alexisjoyvipaccess had the greatest honor of covering the 9th Annual Thirst Gala and had a marvelous time catching up with and interviewing the magnificent Cameron Boyce again at the event. Cameron Boyce dished exclusively to Alexisjoyvipaccess all about what he would like to see happen in Descendants 3 and what is a memory that sticks out to him the most from working on the Descendants movies only in our VIPAccessEXCLUSIVE updated interview. Cameron Boyce even sent out a wonderful message to all of his fans – hear what he had to say in our VIPAccessEXCLUSIVE updated interview below. Thanks for another awesome interview, Cameron! Check out my VIPAccessEXCLUSIVE updated interview with the sensational Cameron Boyce at the 9th Annual Thirst Gala below! Previous VIPAccessEXCLUSIVE: Karan Brar Interview With Alexisjoyvipaccess At The 9th Annual Thirst Gala! Next VIPAccessEXCLUSIVE: Dacre Montgomery Interview With Alexisjoyvipaccess At The 9th Annual Thirst Gala!